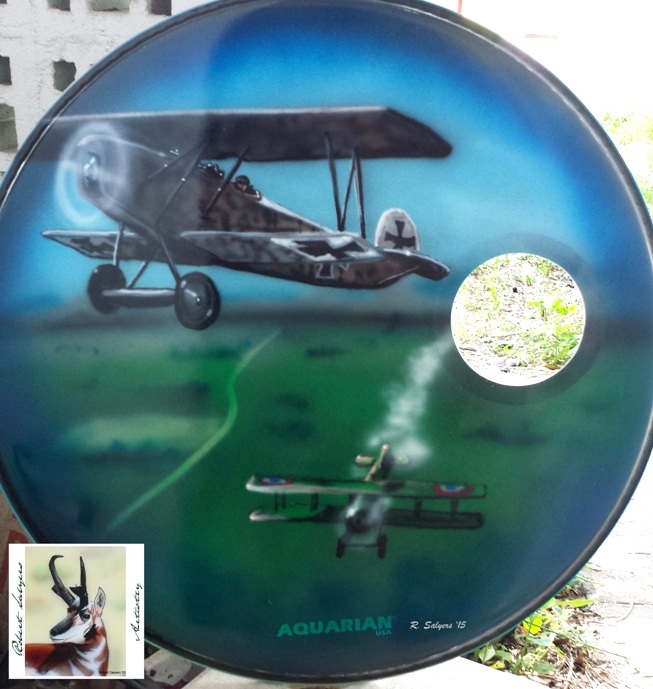 Feel free to browse some of the guitars and drums I've done. I haven't taken pictures of all of them but here are some pics I do have! Email me for details on YOUR project! these are all one of a kind... yours will be too! 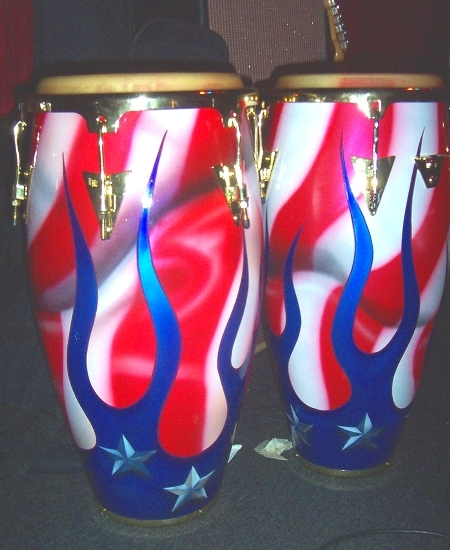 Cool Patriotic Bongo Drums done in pearls! 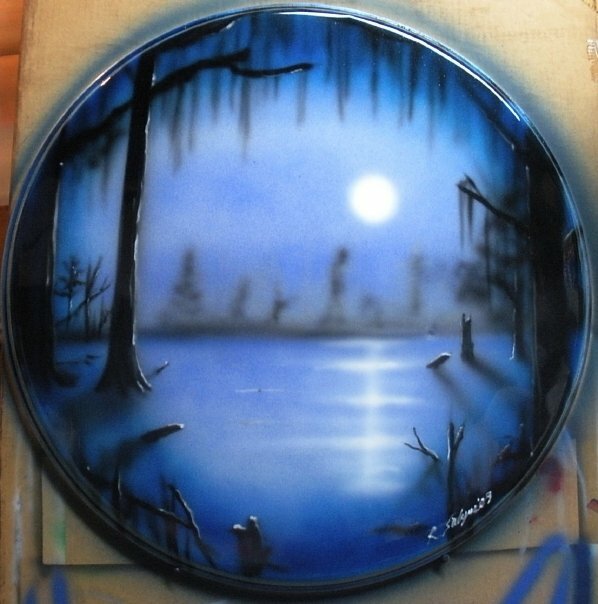 This was done in many layers and gives a nice effect under the lights. 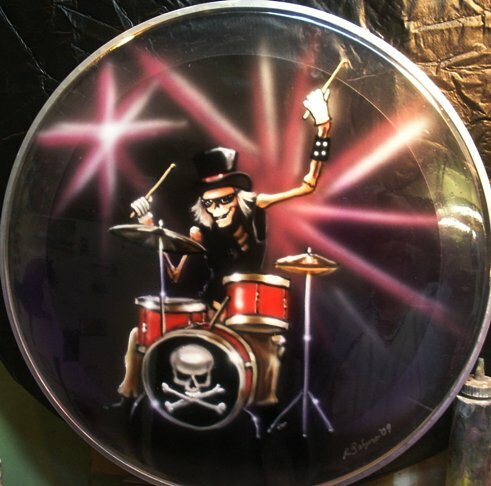 See these in action with the Funkabilly Playboys! 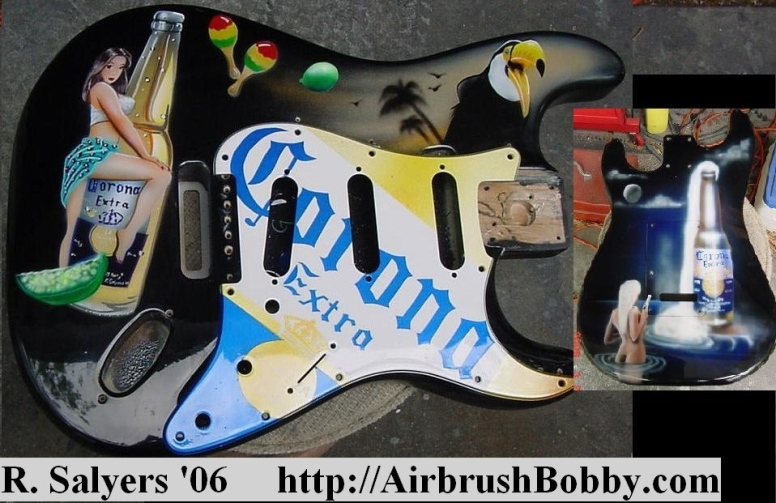 Corona guitar for a great guitarist. Got to wait til he gets his site up so I can link him! 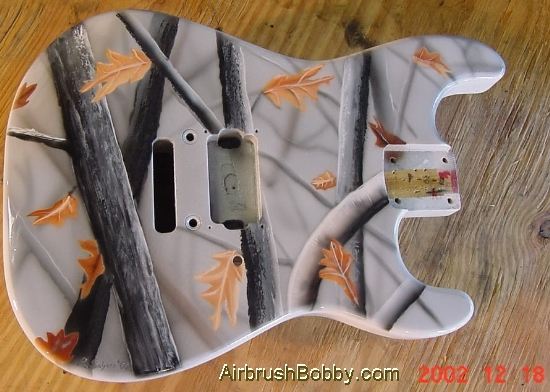 3D High Definition Hardwoods camo on a (Kramer I believe) guitar. Meant to be "not too busy"
Fender Strat with Leopard done in Pearls. 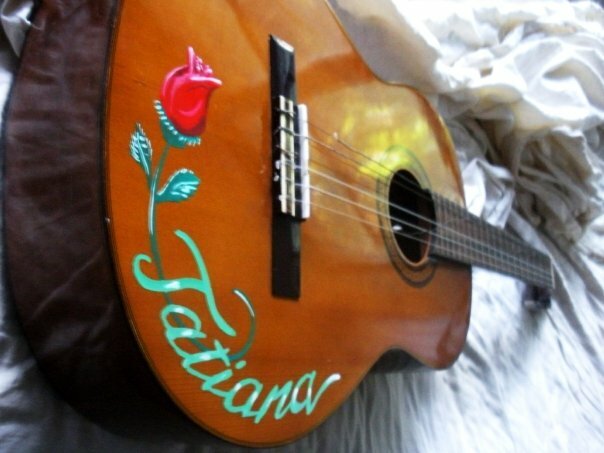 Hand lettered and pinstriped Memorial Yamaha Acoustic. 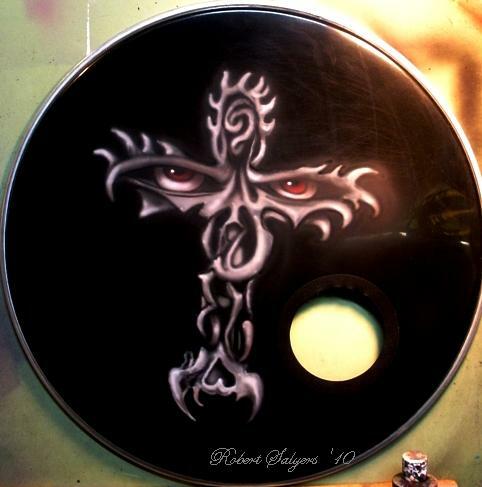 Airbrushed cross skull drum head. 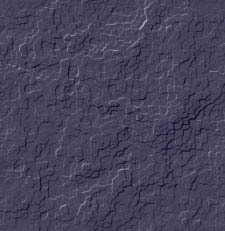 I did this at a Dixie Letterhead panel jam in Montgomery Alabama.